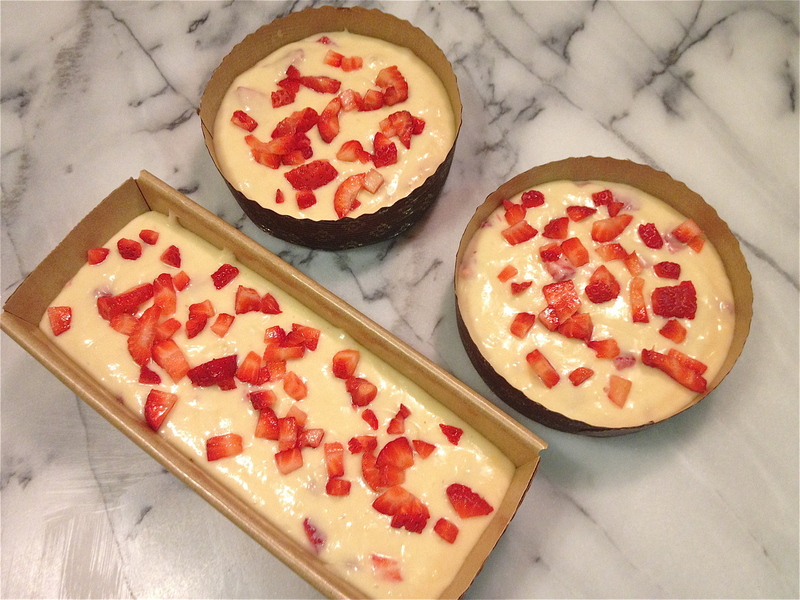 To say that my family loves strawberries is an understatement…an extreme one. We still reminisce about the best strawberries we ever had- Dublin, Ireland, seven years ago. 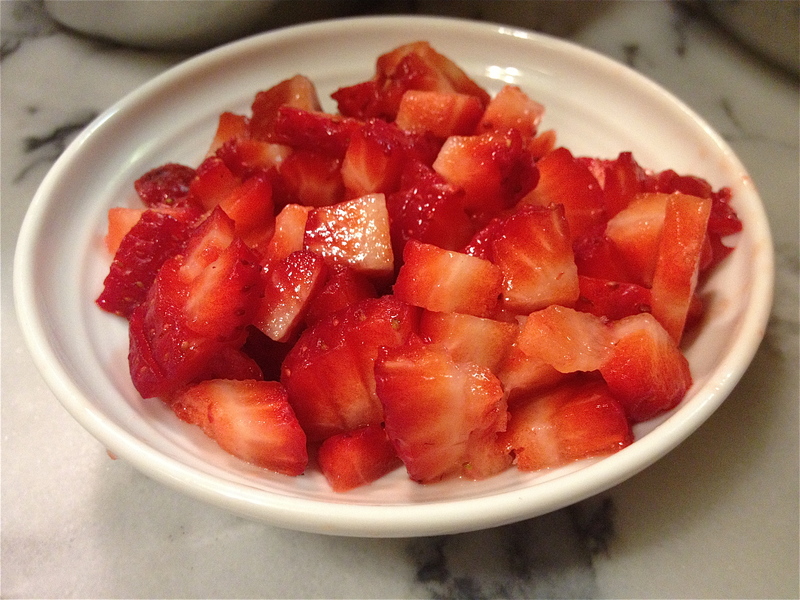 My then four-year old loved the strawberries so much he refused to share them with us. 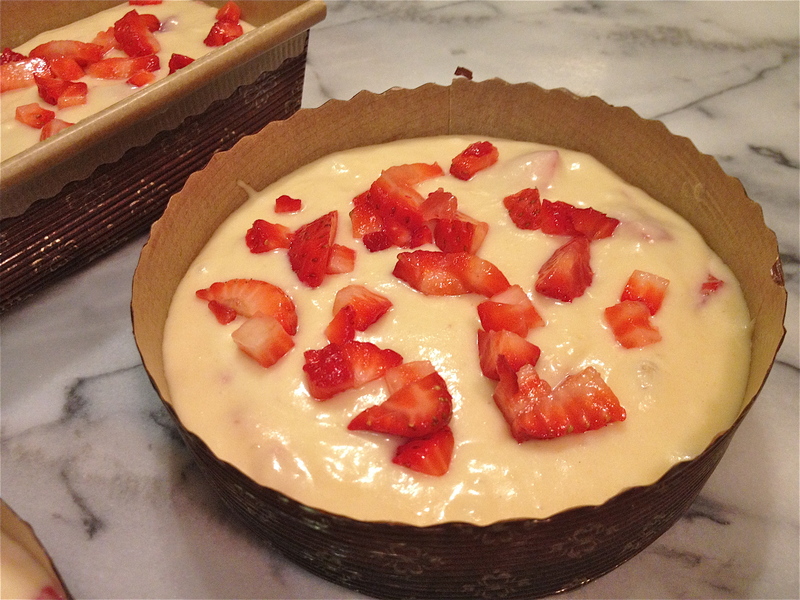 We are counting down the days until strawberry season starts- around mid June here in northern Virginia. Yes, we bought all those strawberries at one time. They lasted about a weekend in our house. A few days ago we came across some great strawberries at our local market (that’s really what it’s called). 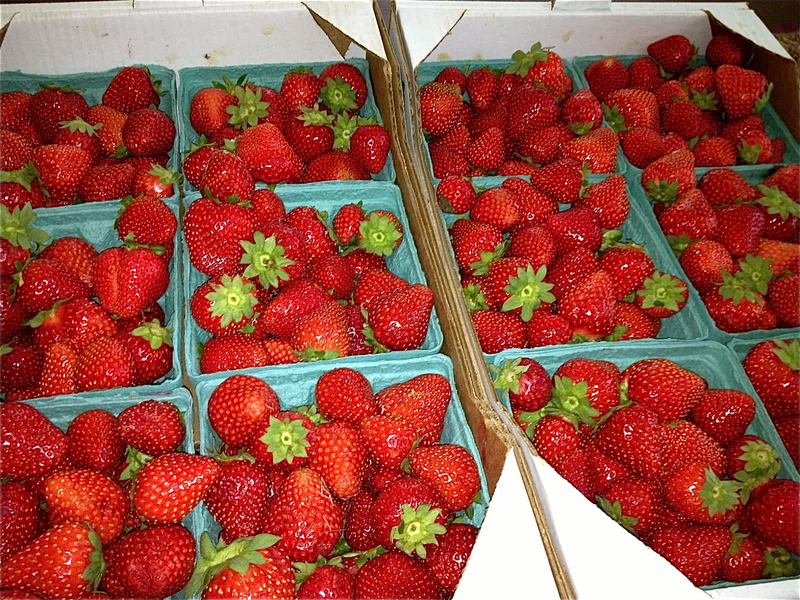 Though the strawberries we usually get in off-season are not that great, these were so red and ripe that we couldn’t resist getting them. 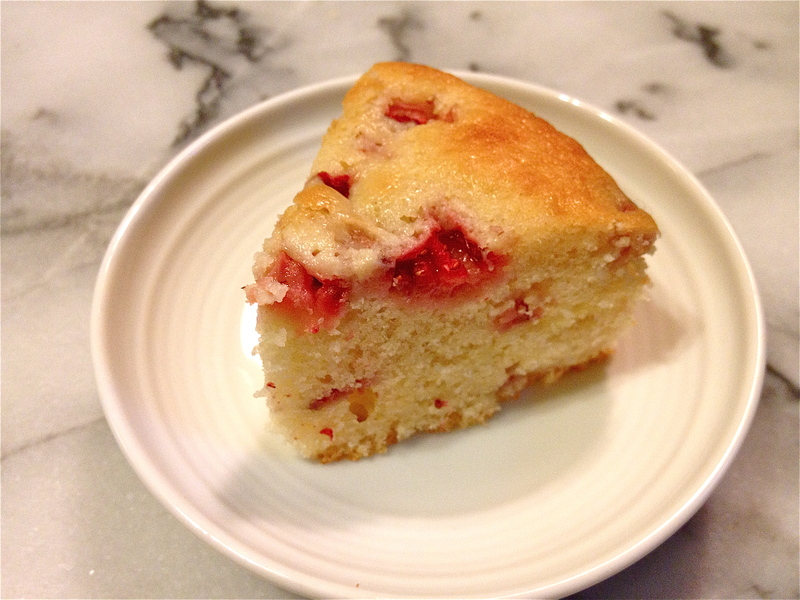 We ate a bunch and also made this easy strawberry cake. It’s so pretty and tasty that I had to share. It’s been breakfast, lunchbox snack and after school snack all week. Melt the butter. Set aside (on your kitchen counter) to cool. 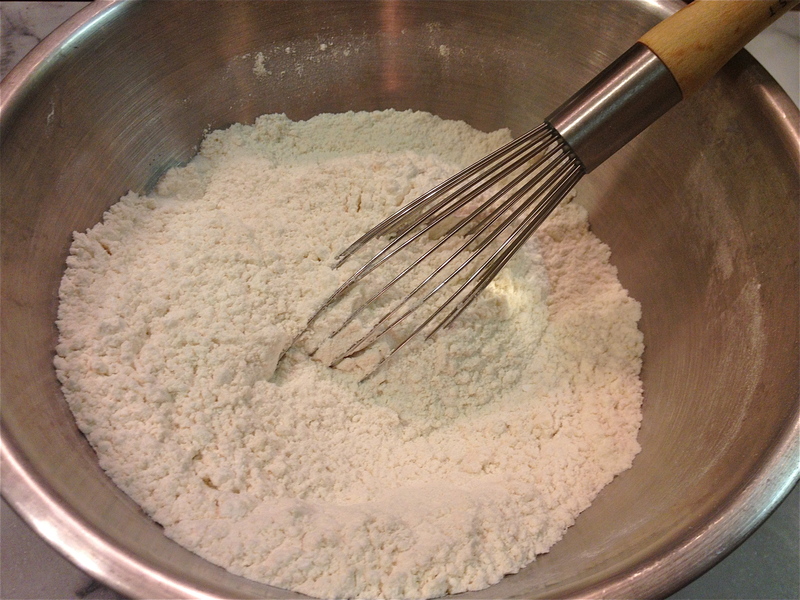 Whisk the dry ingredients together in a large mixing bowl: flour, sugar, baking powder and salt. 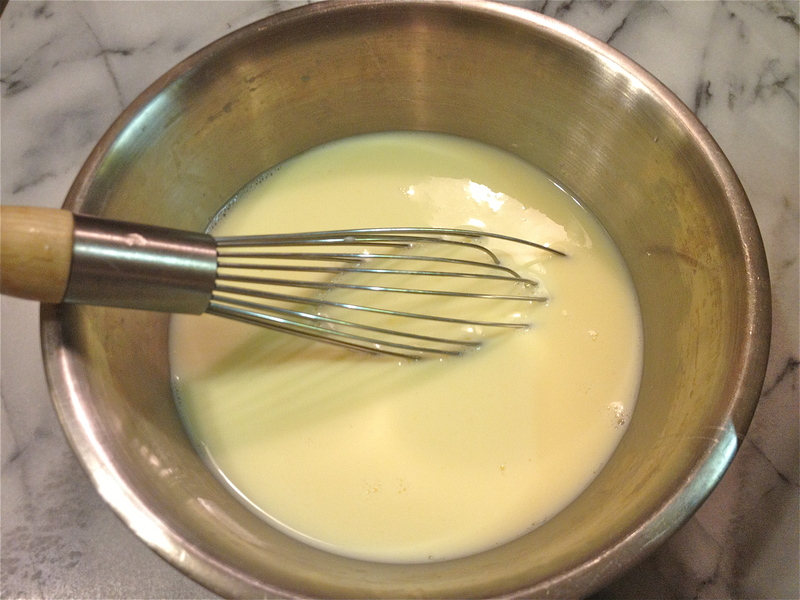 Whisk the wet ingredients together in a small mixing bowl: eggs, milk and almond extract. 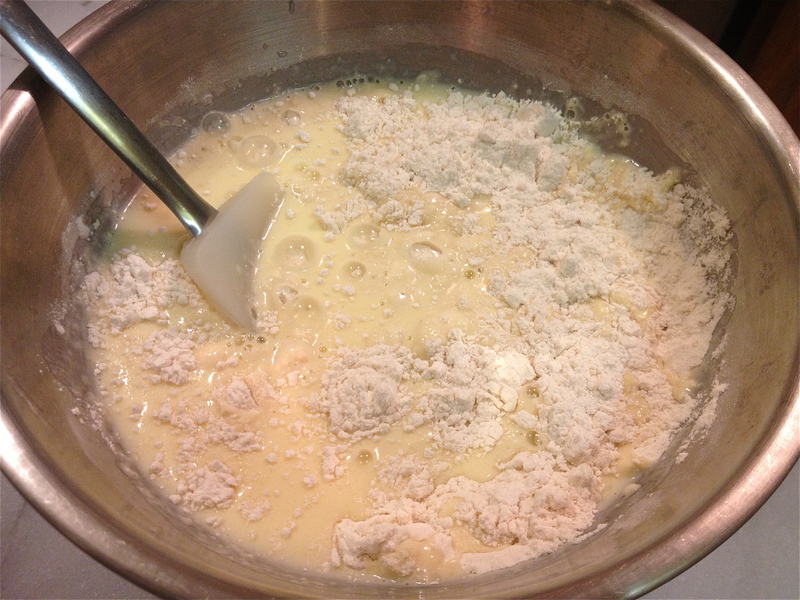 Add the wet ingredients to the dry ingredients, along with the melted butter. 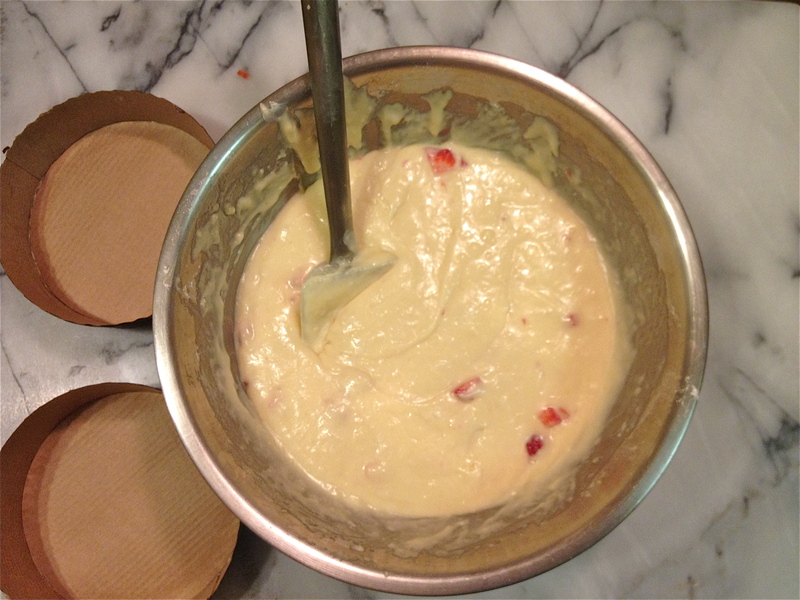 Mix together with a spatula. Do not overmix. 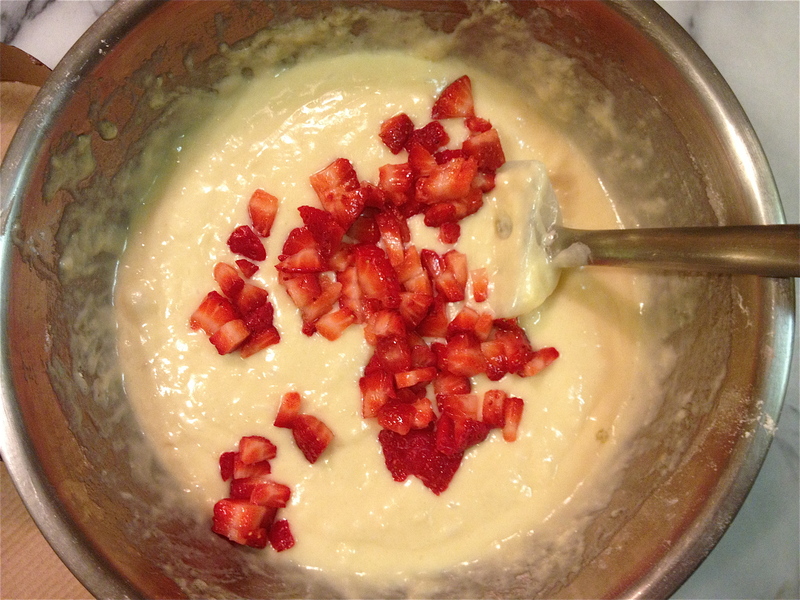 Add half (about 4 ounces) of the strawberries and mix carefully. 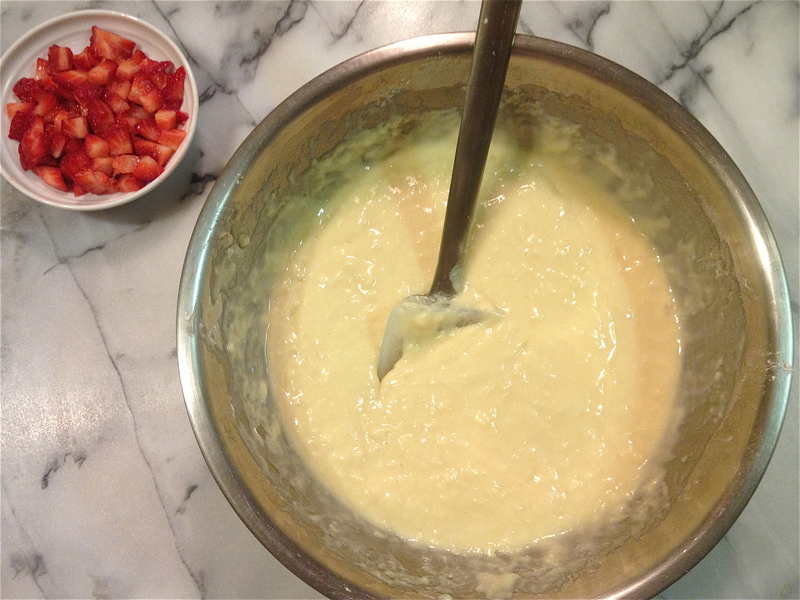 Make sure the strawberries are cut finely, otherwise they will sink to the bottom of your cake (and make the cake soggy). 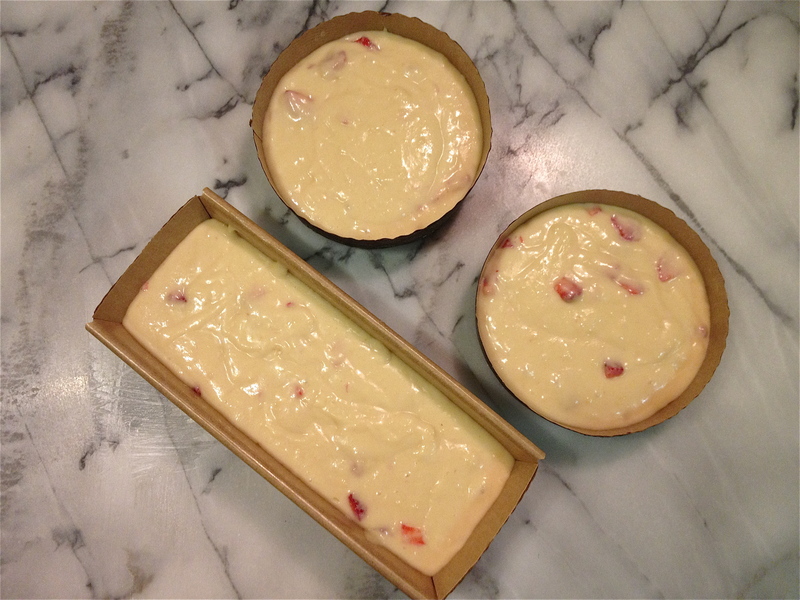 Pour the batter into your prepared pan (9 1/2″ x 5 1/2″ x 3″ standard loaf or mix it up with various sizes). 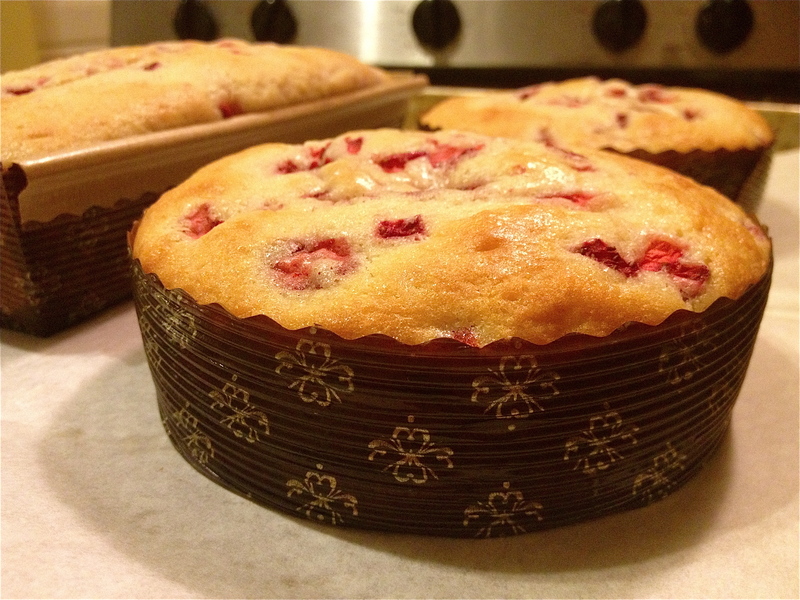 I used a few of the round paper baking molds and an 8” paper loaf mold from Sur la Table. 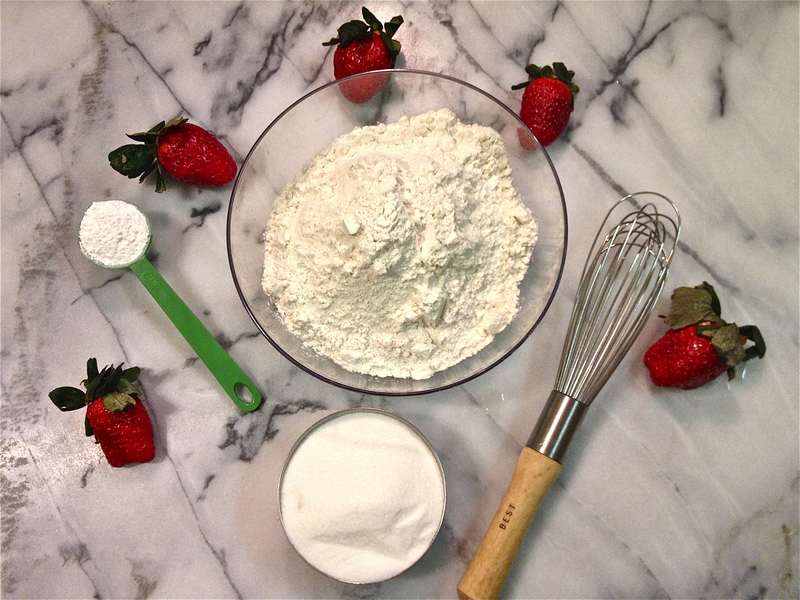 Sprinkle the remaining 4 ounces of finely chopped strawberries across the top of your cake(s). 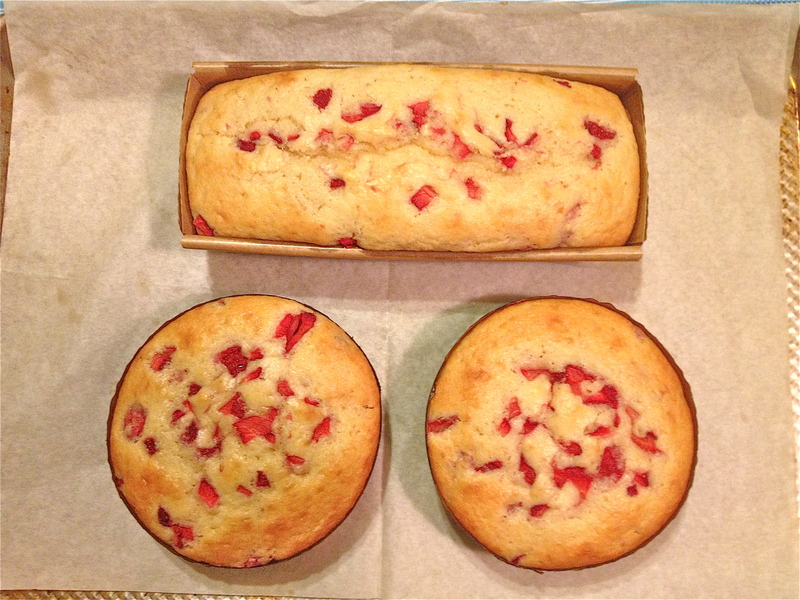 Bake for about 35 minutes (until toothpick inserted in center of cake comes out clean). Basic cake recipe from Fine Cooking magazine.